Lincolnshire County Council will propose a council tax hike of 4.95 per cent for 2019/20. The move would see the authority increase the general rate by 2.95 per cent, plus an additional two per cent permitted on the adult social care precept. It would mean the yearly rate for an average band D property would rise from £1,231.47 to £1,292.40. Senior councillors will decide on the increase at an executive meeting on February 5 before going for final approval at full council. The county council had proposed a 3.95per cent rise back in December 2018, but councillors proposed a further one per cent increase amid funding concerns. As a result, the county council has forecast a shortfall in its budget of £5.336 million. Peter Moore, executive director of finance, said the use of reserves would “smooth the effect” of the cuts. 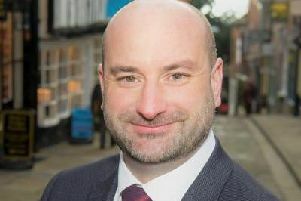 County council leader, Martin Hill, previously said he recognised that the public was at its limit with council tax increases and that sustainable funding is needed. “If things come round, I’m quite clear if we get a reasonable amount of extra money next year we can plan not to increase council tax so much next year,” he said.